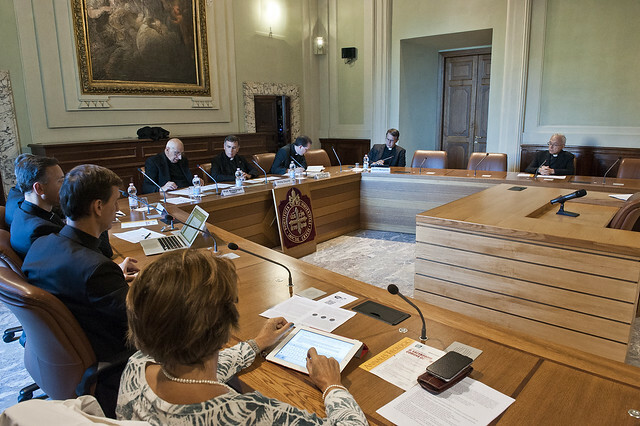 The different courses in the plan of studies offered by the Department of Moral Theology are based on the universal call to holiness. Special attention is given to the practical consequences of this call for the different charisms in the Church and in the different aspects of the Christian life. Because of this focus, the line of research in morality heavily favors what today is known as “virtue ethics”. Recalling the classical tradition, this field of study has been broadened by many recent developments, and places the practical-operative consideration of the good of human life in its totality at the center of ethical theory. From this perspective virtue ethics tries to distinguish the priorities to be assigned to the various activities that make up one's life as a whole and to clarify the criteria according to which one should govern the use and actualization of human goods; this ordering of priorities and these criteria of rational governance form the essential content of the moral virtues. This approach seems to be the most adequate for the personal formation and for the transmission of Christian morality to our complex society, a society wherein a discussion of “ought” and the varying norms of conduct urgently requires an adequate frame of reference to illustrate what role these have in the lives of human beings.